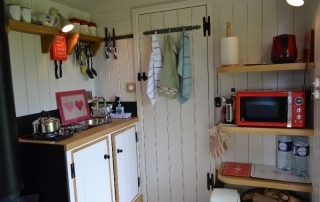 Set quietly in a wild-flower field in the lovely village of Kelmscott, is a hand-crafted shepherds hut all kitted out for a perfect glamping stay and a rural retreat. Made from seasoned oak panels and up on wheels with a small flight of wooden steps, double doors open to the delightful interior. 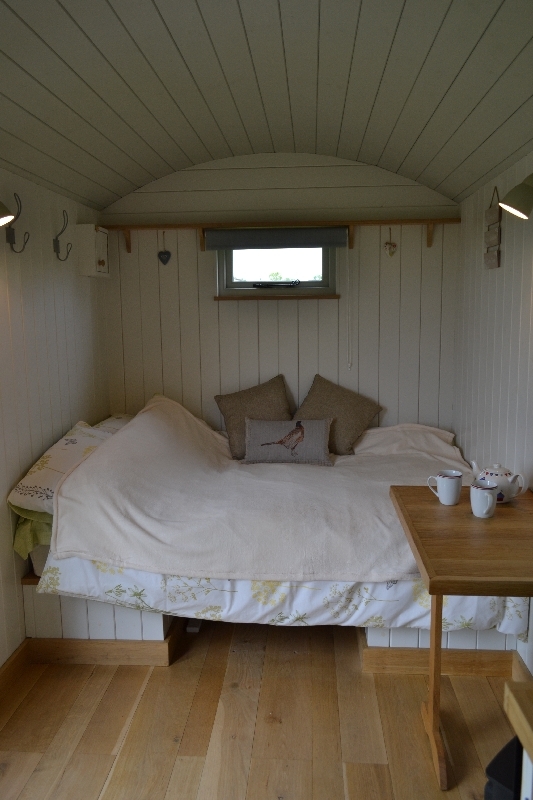 All painted in soft Cotswold muted colours this shepherds hut is surprisingly cosy and roomy at the same time. 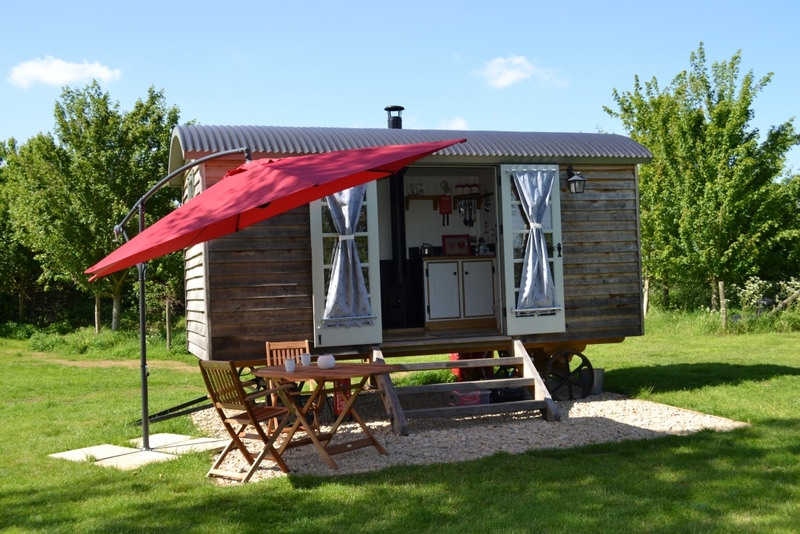 The hut sleeps two with a double bed made up with crisp white linen, duvet and woolly throw and has the luxury of an ensuite shower room, with towels supplied. 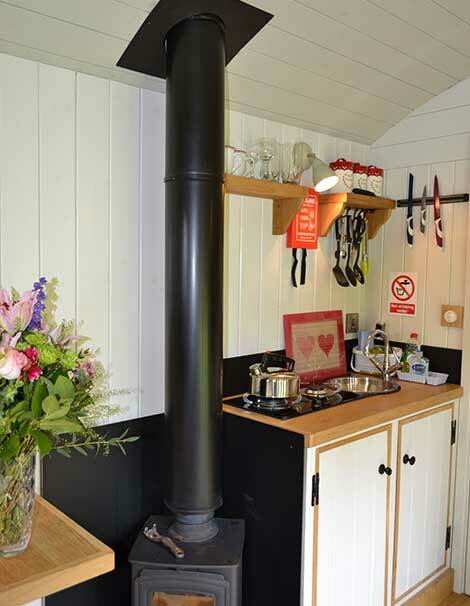 On cool days and evenings there’s a wood burning stove with a basket of logs and kindling alongside. 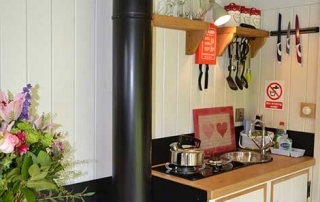 For cooking up a great breakfast, brunch or supper there’s a small gas hob, microwave and outdoor bar-b-que with all the necessary kitchen things. 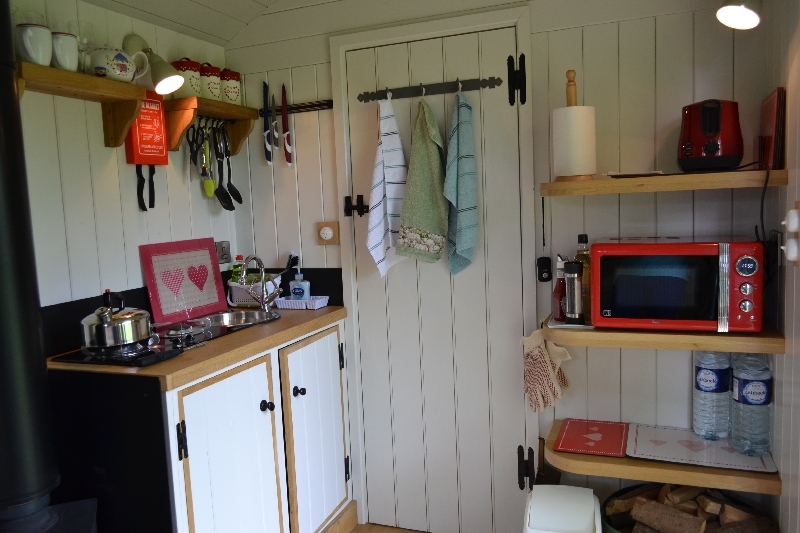 The fridge is stocked with essentials for your arrival and Emma is not far away at Manor Farm house if there is anything that’s needed during your stay. 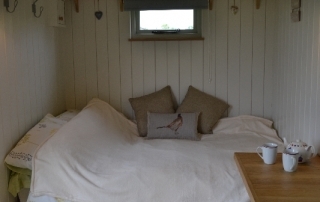 Emma also has guest bedrooms and offers bed and breakfast at the farm house. Relax outside with table, chairs, a parasol and space for doing pretty much anything as the mood takes you. Under the stars with tea lights and a lantern for the table is pretty magical. 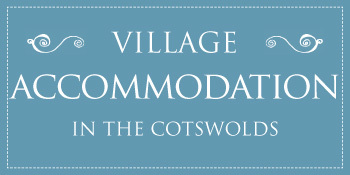 The village is a little gem where little has changed over the centuries. 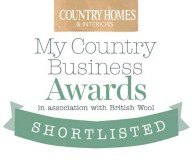 Book soon, you will love it! 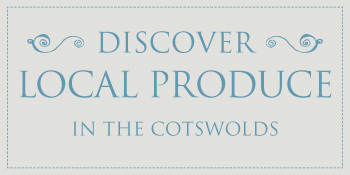 Kelmscott is a small and delightful Cotswold village made known for its past and location. Narrow lanes wind their way through to the village marked with wooden signs from Little Faringdon or from Lechlade. Still rural and unspoilt, surrounded by water meadows and fields, Kelmscott is at the end of a no-through road which ends at a tow path alongside the Thames. A number of the lovely stone houses are in the ownership of the National Trust, the Church Commissioners, or the Society of Antiquaries and understandably, tenants and residents do not tend to move away. The oldest building in the village is the parish church of St.George, built in the late 12th century. 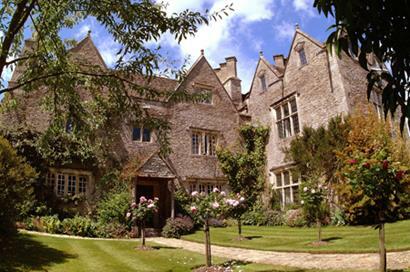 The second oldest house is Kelmscott Manor, built in 1571 and the home of artist, craftsman, and poet William Morris and his wife, Jane who lived at the Manor from 1871 until 1896 and was the founder of the Society of Antiquaries. Morris is buried in the churchyard with his gravestone designed by his friend, architect Philip Webb. 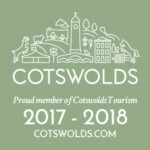 Kelmscott Manor is open to the public on certain days and times and it is wise to check the website for times of opening. The village hall was opened in 1934 by George Bernard Shaw, a frequent visitor to Kelmscott. Nowadays it has a regular craft fair and is the focus for all kinds of village events. 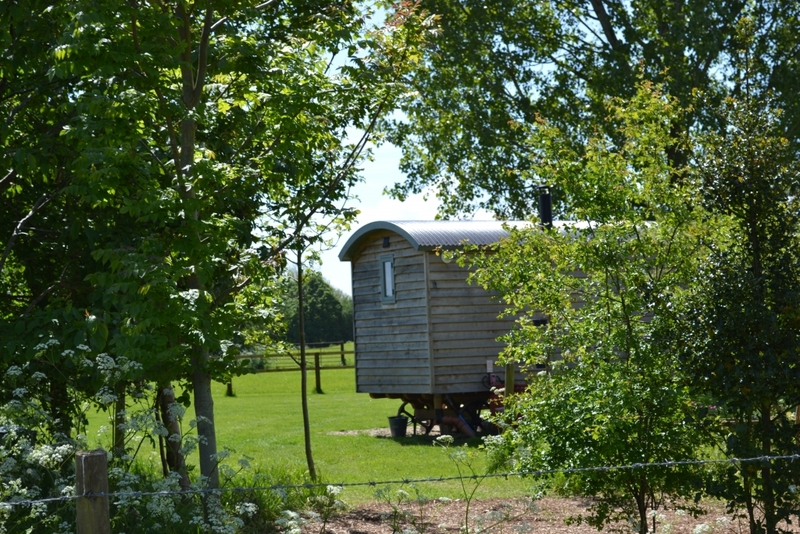 As an absolute bonus the shepherds hut is within an easy stroll of The Plough with great food, drink owned by Lana and Sebastian Snow who also have the award winning village inn and restaurant with rooms, The Five Alls in Filkins. Bring a torch as street lighting hasn’t reached these parts. 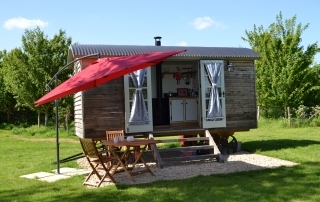 Contact Manor Farm Shepherd's Hut directly by using this booking enquiry form.